South Texas Cattle Marketing is a group of South Texas ranches that came together in 1998 with the idea of raising and producing the BEST commercial females for use all over the Gulf Coast states, with a base cow herd of 3,200 Gray Brahman cows. Our goal is to produce the BEST commercial F1 females in the United States. In the last 20 years we have sold cattle across the United States from Florida to California and every southern state in between with 2 Production Sales annually; Labor Day weekend and the first Saturday in March. We gladly invite you to call and visit with us about our cattle. 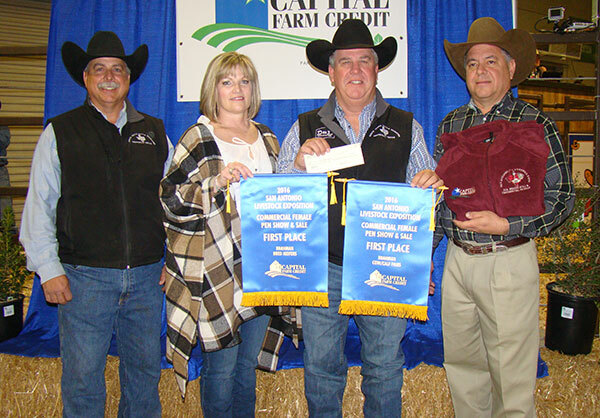 South Texas Cattle Marketing had 2 champion pens at the San Antonio Stock Show and Rodeo All Breed Sale.